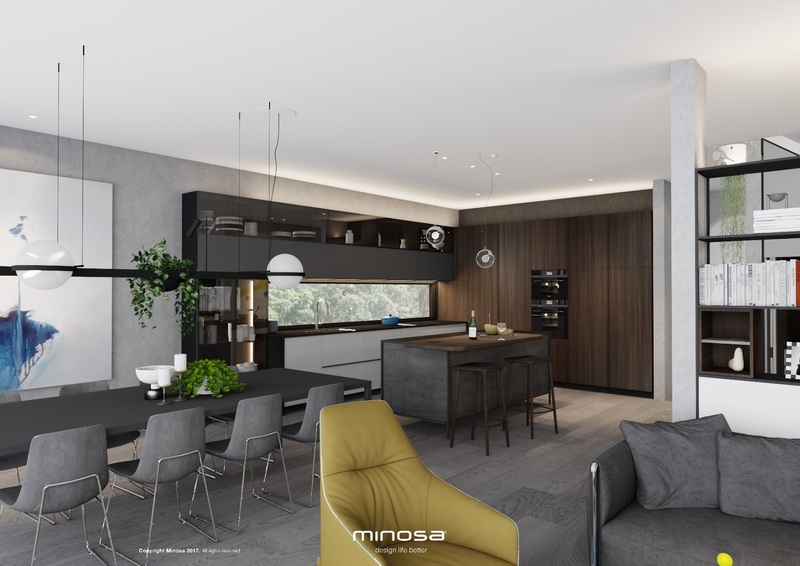 The brief was simply, make best use of a large open plan area, make it feel like one room but every space has to have it's own space, make the most of the stunning views back over the city skyline and make it sophisticated and different to what we see in modern kitchen design. This kitchen design was a lot of fun, it had a fairly simple brief but complex; the need to connect to a view is always a challenge as you do not ever want to compete with it, more so you want to sit next to it. We have integrated a splashback window to maximise the connection to the view brining more natural light. Our sophistication masculine material palette utilising NEW AGE VENEER to tall doors and LAMINAM oversized porcelain tiles to the back of the island unit - Nano technology has been applied to the base doors inside the kitchen as this product is finger print free. 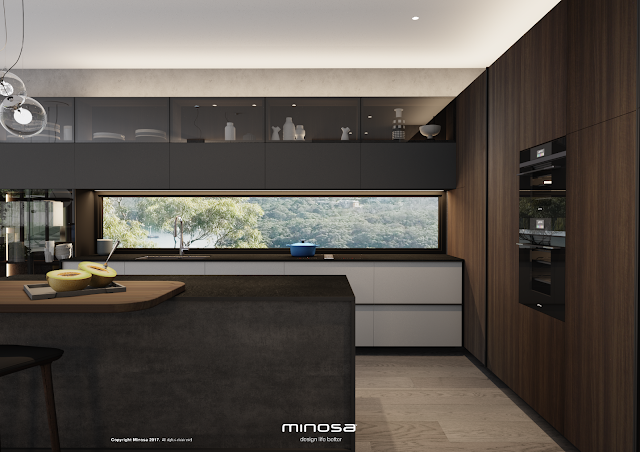 Smoked glass is applied to the top cabinets to reflect the ceiling increasing the size of the room and to give the kitchen more of a joinery/furniture type feel. 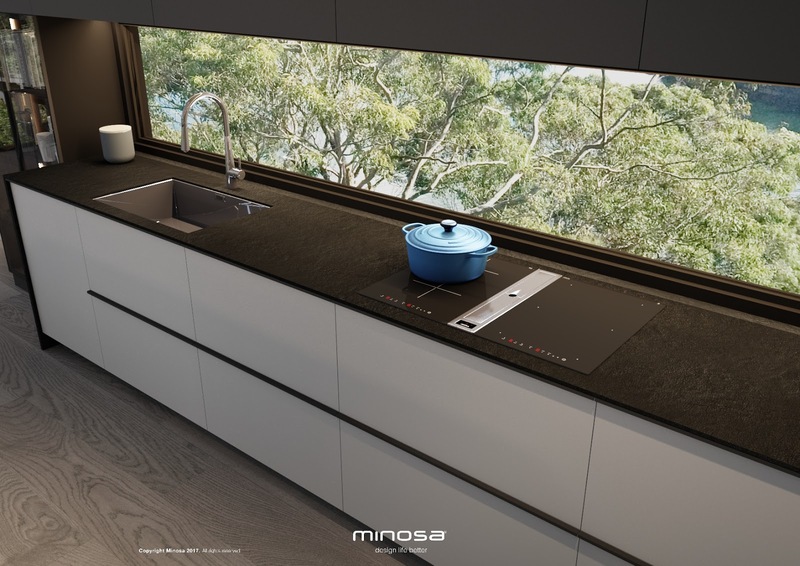 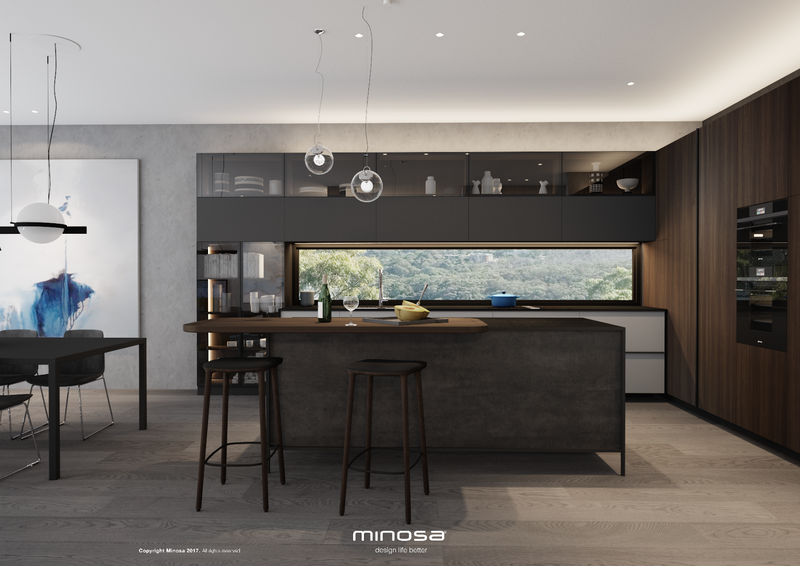 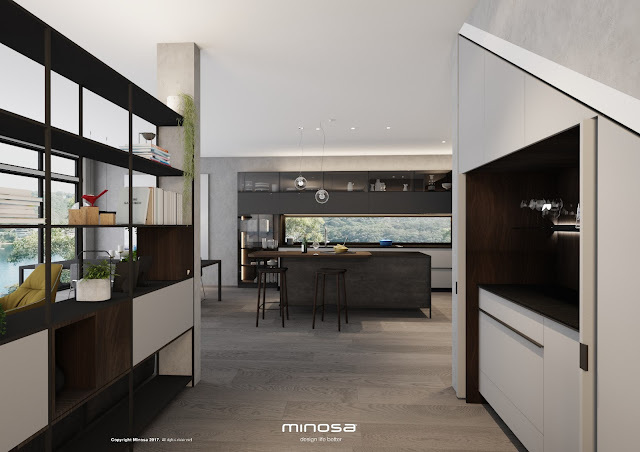 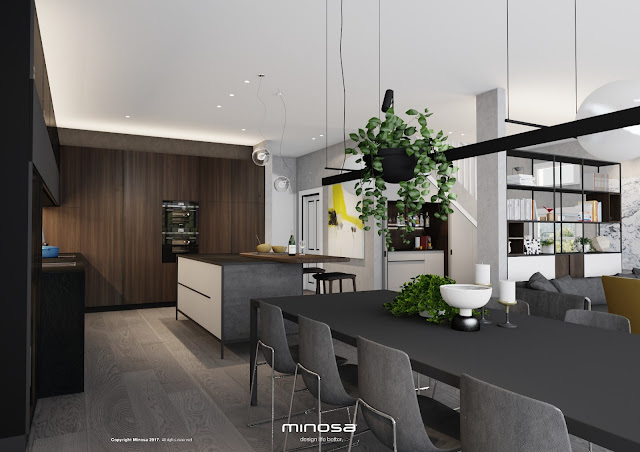 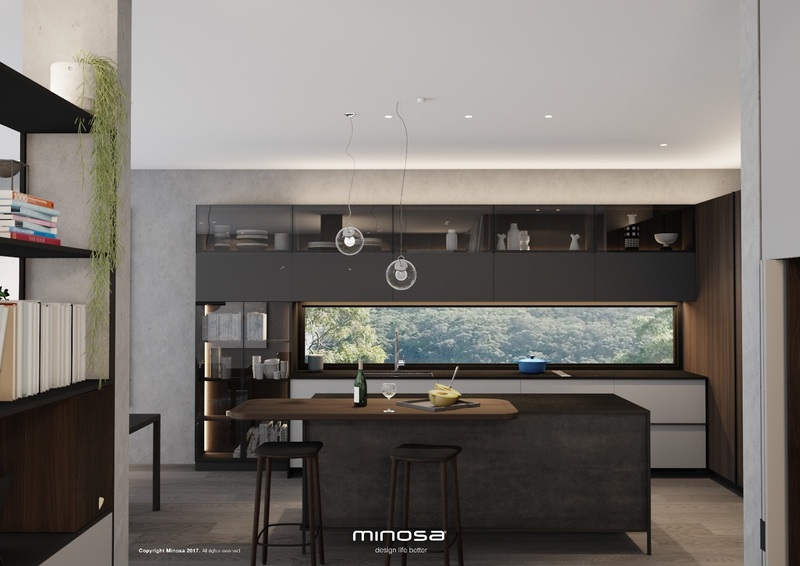 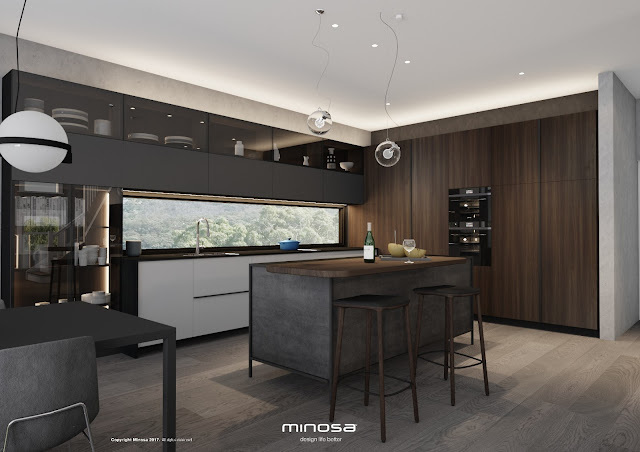 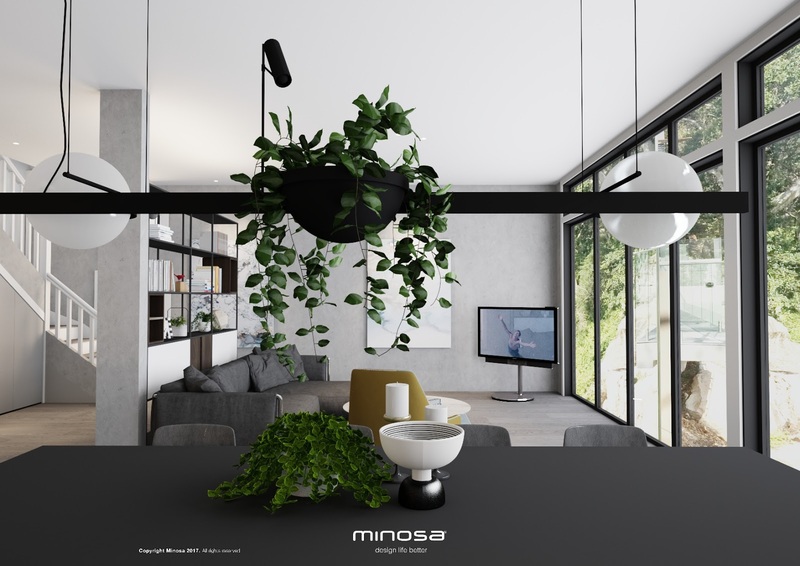 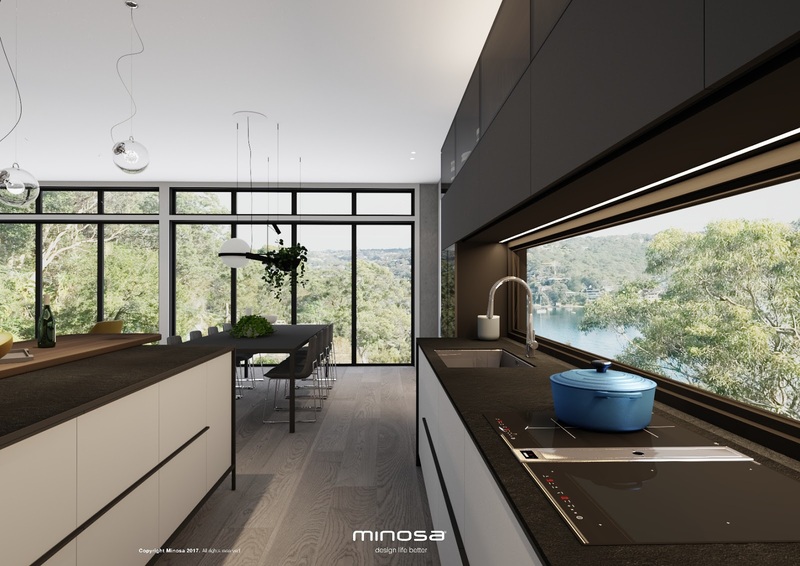 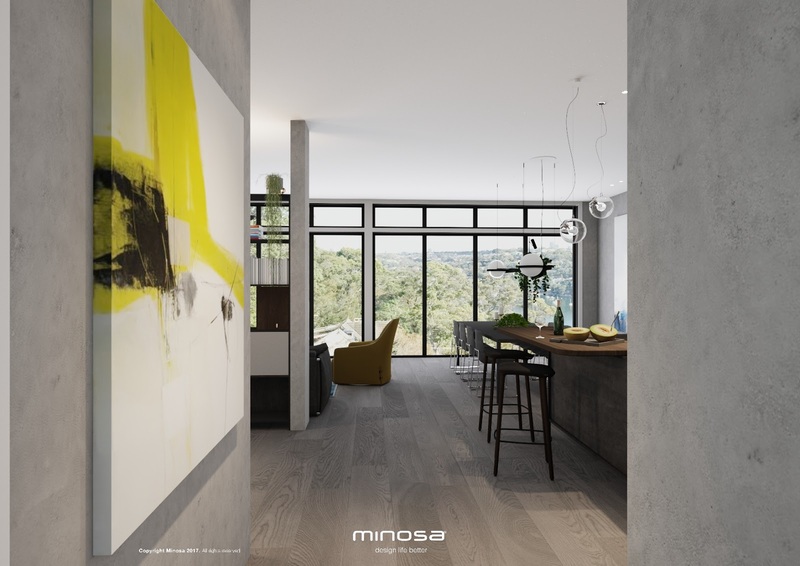 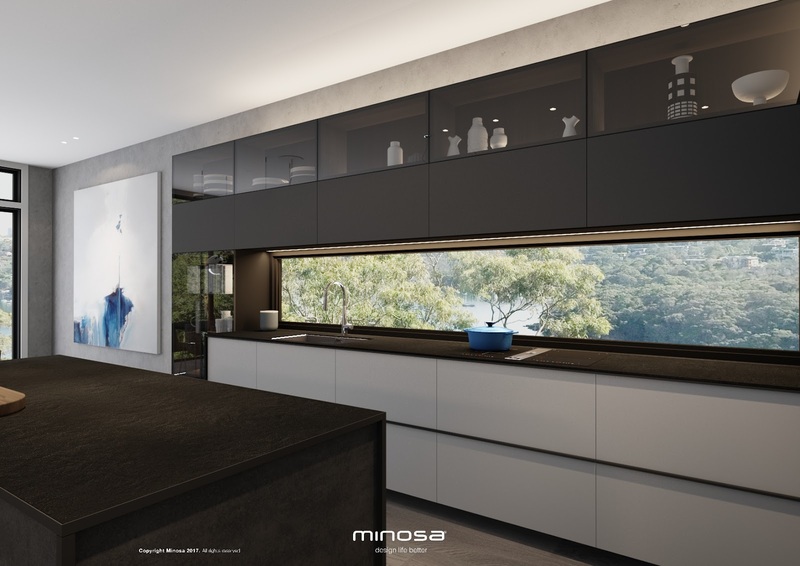 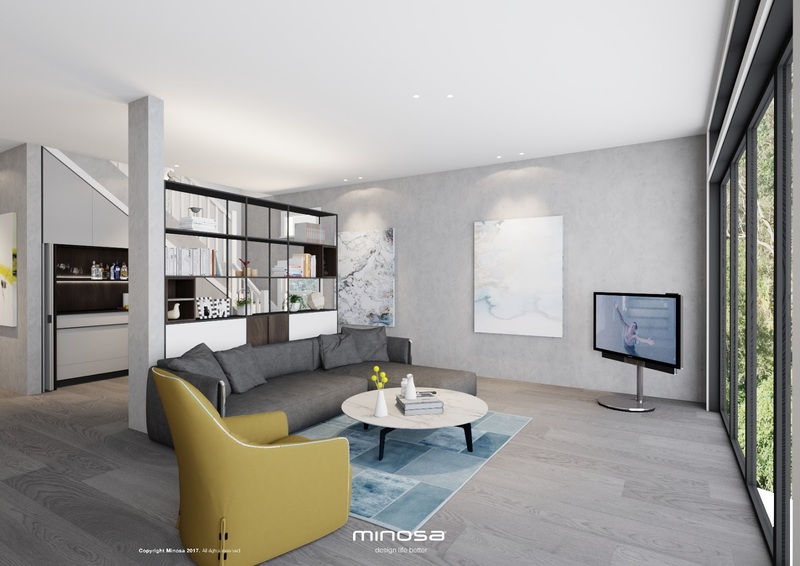 All of the images above have been created in the Minosa Studio pre construction to help our clients understand our design intent for their new modern kitchen design. We look forward to seeing this one built in 2018.